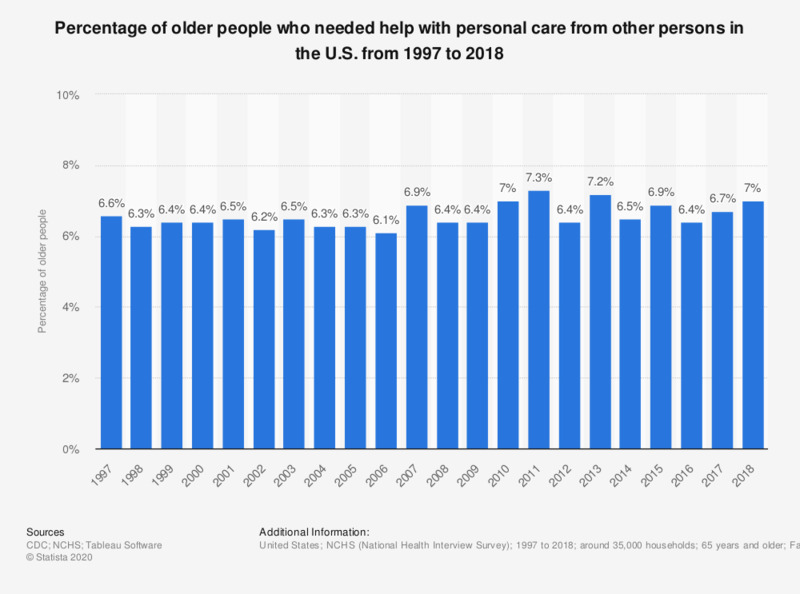 This survey represents the percentage of older people who needed help with personal care from other persons, in the United States from 1997 to 2017. In 2017, the number of adults aged 65 years and older who needed help with personal care from other persons amounted to 6.7 percent in the United States. Figures from 1997 to 2005 were taken from the previous year's report and can be found here. Data are based on household interviews of a sample of the civilian noninstitutionalized population. Personal care needs, or activities of daily living, include eating, bathing, dressing, and getting around inside the person’s home. The analyses exclude persons with unknown information on personal care needs. How important, or unimportant do you think care for the elderly should be in terms of priorities for the NHS? What is the share of organic personal care and cosmetics products of all products you purchase from the category sun care?